So I know it’s over and done with, but I thought you might like to see some of the sights caught at this year’s Cactus Classic Open Derby. 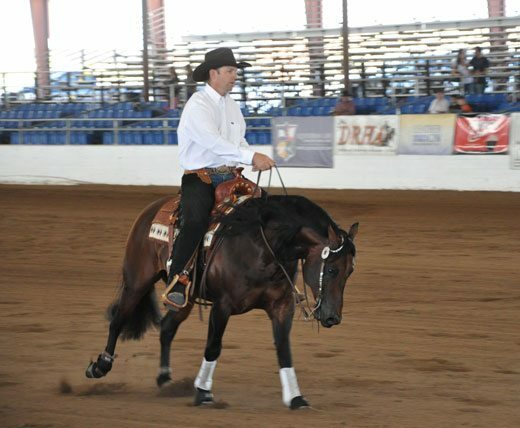 Micheal Berg and Outta Dough marked a 227 to win the Open & Int. Open Derby divisions at the Cactus Classic, held March 6 in Scottsdale, Arizona. 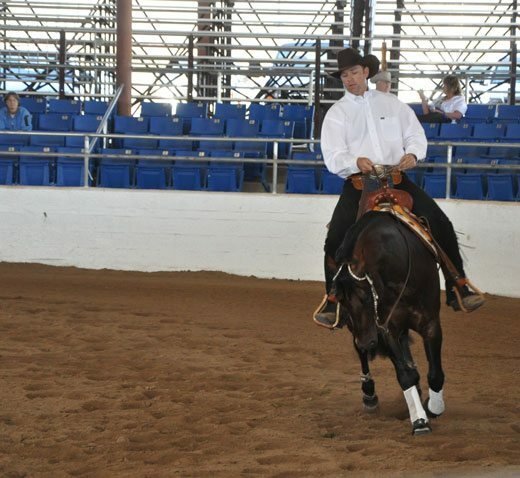 At the 2010 rendition of the show held this past March 3-7 at Westworld Park, over $100,000 was awarded to reining competitors. 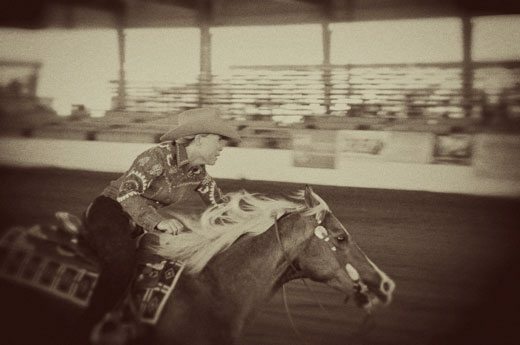 Outta Dough owned by Dorothy Queen of Whitesboro, Texas and rode by Michael Berg marked a smoking 227 to win the coveted Open and Int. Open Derbies. The bay horse is sired by Gallo Del Cielo and out of Dough Olena (by Doc O’Lena). Altogether they took home a cheque worth $15,669. Canada had some excellent representation. 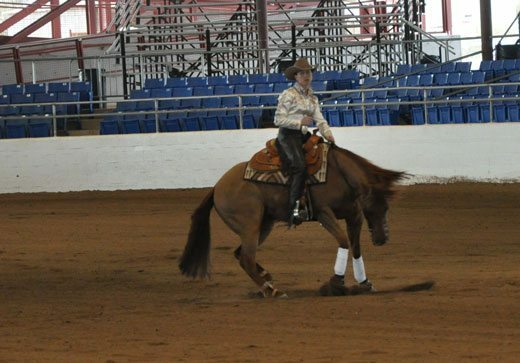 Christa Turel of Olds, Alberta, and her red dun mount, BMD Smart Whiz scored a respectable 218.5 in the Ltd. and Int. Open Derbies. Samantha Griffin of De Winton, Alberta, rode Dun Playin Tag (Whiz N Tag Chex x Brennas Dunit Fancy x Hollywood Dun It) and marked a 221 to earn the reserve championship in the Non-Pro division. Together they earned $3,780. 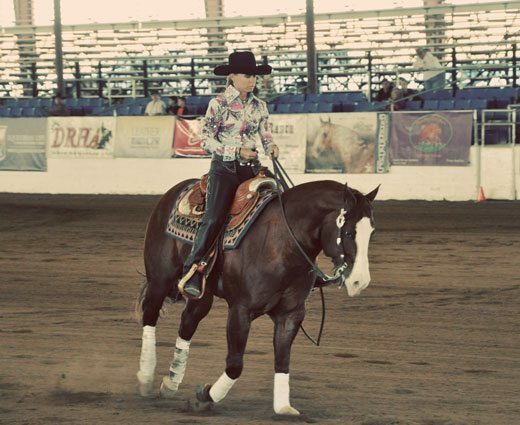 Shawna Sapergia of Calgary, Alberta, showed Its Wimpys Turn and Sammie Little Step, both owned by Outrider Ranch. Outfitted in the most detailed and color-coordinated show outfits, she was beautiful as always. 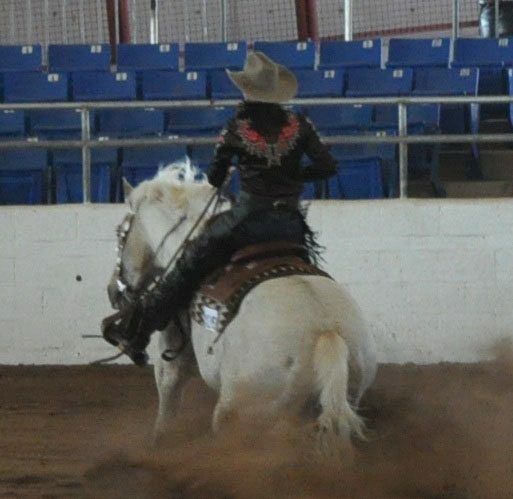 The Cactus Reining Classic is a NRHA “A” rated event. And participants from all over the United States and Canada attend each year. Some amazing runs are put together in the show’s five-day span: it makes for some good watching! 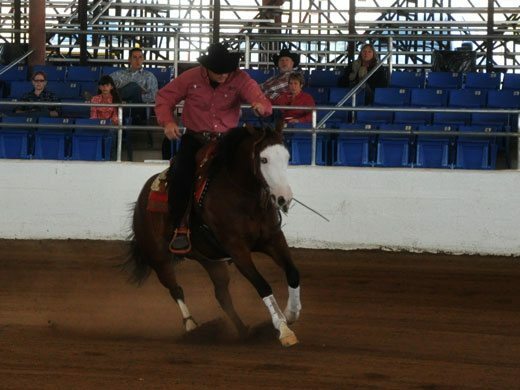 My friend Marcy Ver Meer and the stallion, Gunners Special Nite put together a fantastic 225.5 in the derby. And trends for the year are often showcased at this event. Here, Andrea Fappani showed off his gorgeous mounts and their equally as stunning locks. 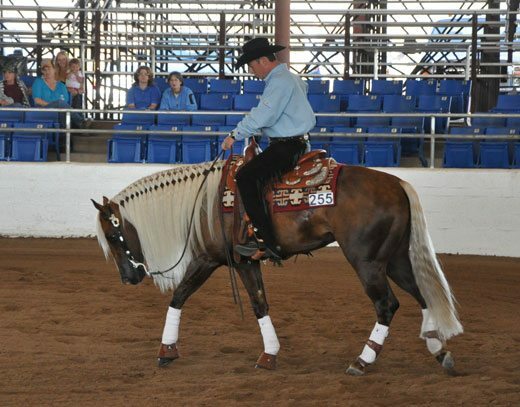 Banded manes are something I’ve never seen in reining competition before. If you’re in Scottsdale next March, be sure to check this show out! 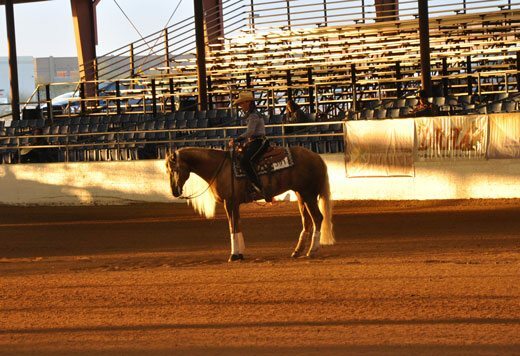 Hosted in the valley of the sun, the 2010 Cactus Classic is a reining feast for the eyes.